The Ocean Aire is a magnificent three-level, eight-bedroom home in the Village at Nags Head with a private pool, hot tub, tiki bar and room for the whole family to relax in style. 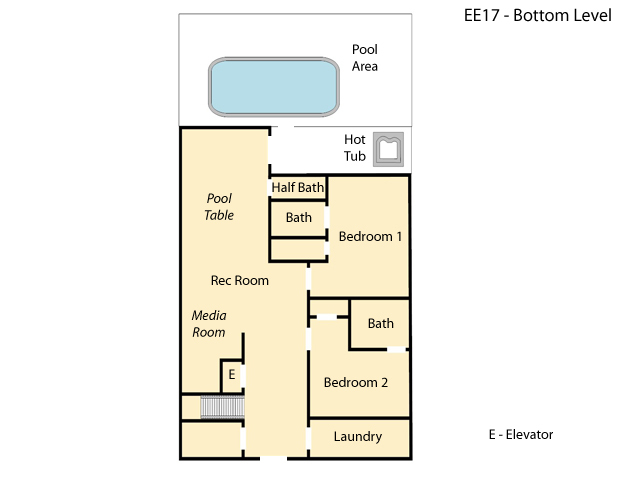 Each of the Eight bedrooms feature flat screen TVs, full baths and plenty of room for your company to stay in comfort and an elevator provides convenient access to all three levels. 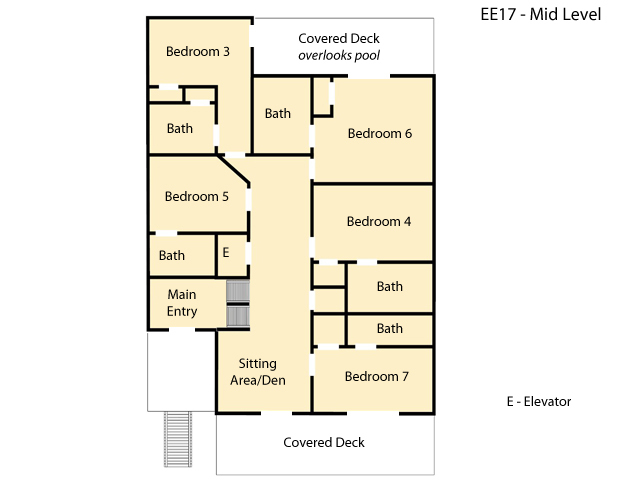 On the mid-level you will find 5 well-appointed bedrooms, each with full bath and flat screen TV, and a den. 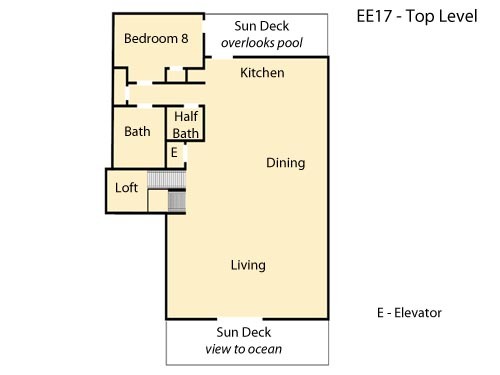 The ground level provides two more master bedrooms, laundry and a large game room with pool table, flat-screen TV, wet bar with full-sized fridge and seating providing a great place to entertain or relax close to the 12’ x 26’ pool, hot tub and backyard. The Ocean Aire fronts the Beach Road in Nags Head only 120 yards away from the private Beach Access and Bath House and conveniently located to dining, shopping and golf. No Smoking. Pet Friendly – Dogs Only. Ask about our Military discount. *Village Beach Club amenities are not available. Beautiful house but pool filter system was not working well when we were there for the week making pool cloudy. Tvs were difficult to get to work. Yard in back had many piles of dog poo that we needed to clean up. Thank you Kelley for your review. Ashleys Pink house really is a beautiful home. We have confirmed the pool filter system is working, it just needed to be back washed. We have also shared your feedback with our team, to make sure they address the back yard as well. We really appreciate you taking the time to share your recent experience, and look forward to seeing you again soon. We had a great time, weather was perfect. House was beautiful... loved the pool. We will definitely be back next year. Had an amazing time! OBX has become our favorite destination! House, pool and beach were perfect! The adults and kids thoroughly enjoyed their stay and cant wait to come back next year!